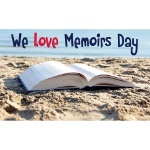 We Love Memoirs Day is celebrated by memoir authors and readers annually on August 31. The holiday was inaugurated in 2013 and has quickly spread across the globe. We Love Memoirs Day (WLM Day) started with a Facebook group set up by Alan Parks and Victoria Twead, two memoir authors whose aim was to create a friendly environment for memoir authors and readers to discuss memoirs and exchange opinions. Alan Parks is the author of the “Seriously Mum” series, while Victoria Twead is a NY Times bestselling author known for her “Old Fools” series. The “We Love Memoirs” group was intended as a warm community where authors are discouraged to push their own books at readers. WLM has gained popularity astoundingly quickly, with new readers and authors joining it on a regular basis. It helps people form new long-lasting friendships, no wonder it is often referred to as the friendliest group on Facebook. WLM meet-ups are held regularly across the globe. To celebrate WLM Day, read a memoir you've always wanted to read but never had the time or opportunity to, or re-read your favorite memoir. And don't forget to share your impressions with your friends who love memoirs as much as you do. We are sure they will be glad to join the discussion. And make sure to check out We Love Memoirs (https://www.facebook.com/groups/welovememoirs/) on August 31, they celebrate the day with a virtual party for all memoir lovers.